During the course of last week I received an email from Lisa Levy informing me that she would be celebrating her birthday and wanted to collect funding for the Breast Course for Nurses instead of receiving gifts for herself! It is so special to receive news like this especially in the whirlwind that is the end of the year! 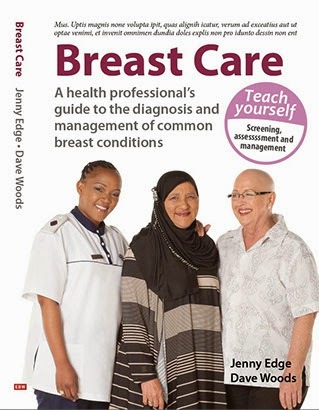 The Breast Course for Nurses relies on sponsorship to continue to grow and educate nurses within South Africa. Next year the Breast Course for Nurses will be expanding to countries within Africa. On Thursday I joined Lisa and all of her friends at Tasha's restaurant at the V&A Waterfront. She had envelopes with the breast cancer ribbon attached to each ready for the donations. The amount we received from these generous donations was far more than expected! Thank you to Lisa and all of your generous friends, we really appreciate what you have done for our organisation and for the many nurses that will benefit from doing the course made possible by the money that you have raised!